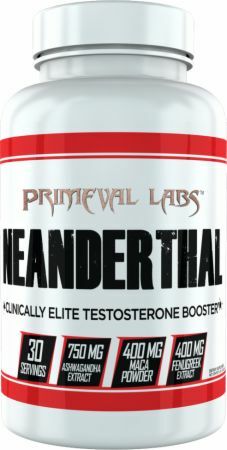 Neanderthal is a scientifically formulated natural testosterone support supplement from Primeval Labs that aids natural testosterone production, libido, and performance. 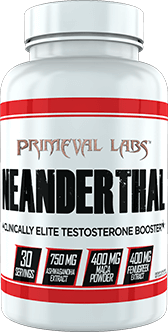 * Neanderthal includes only ingredients proven to support natural testosterone production as well as several ingredients that help promote healthy levels of estrogen and cortisol. Directions For Neanderthal: As a dietary supplement, take 4 capsules daily.